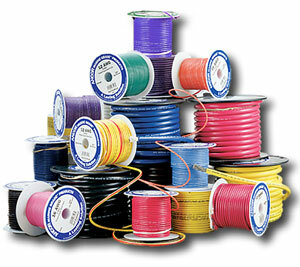 Practical Boat Wiring Advice. The average fishing boat or motor boat and sailing boat is now high technology. The computer technology age has taken over with many boats now having smart battery chargers, smart alternator regulators, smart battery switches, touchpad electronic switch panels and microprocessor controlled inverters,and LED lighting, instrument networks, computers, internet and email. And of course they havce a boat wiring system to support it all. Whether you have a new boat or are buying a used boat, adding a boat accessory to your Sunseeker or Bayliner boat, canal or narrow boat, the rules remain the same. On all boats installing the boat-wiring and the boat wiring diagram are major topics of interest. 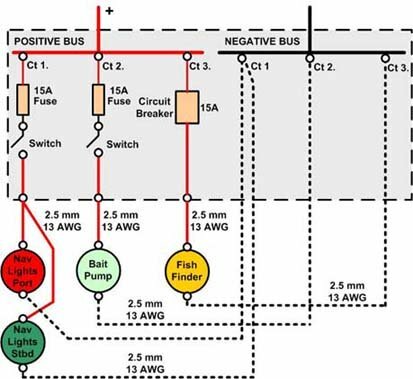 The electrical power system required to supply equipment is also a misunderstood subject, and it is the foundation for reliable equipment operations. It is the source of problems on boat machinery of all types, as well as marine engines such as your electronic controlled Mercury Marine outboard motor, the inboard diesel and gasoline boat motors. I want to change the dangerous illusion that boat and vehicle systems are similar. As we all know, there are no 24 hour road services offshore, and safety is the prime factor, and this depends on good systems design and installation. Whether it is in France, England, Netherlands, Australia, New Zealand or the United States, the same system problems are found. One really big topic these days is the conversion of DC power to AC power. You can of course elect to install a generator, or you can install a power inverter also to do this. Of course you really have to make sure that the DC system is also up to this and so careful consideration of batteries and charging is necessary. Useful electrical and electronics and wiring advice. Click on this link to find out more about. Inverters 1 and all you need to know. Inverters is a very big subject and the following link will take you to more information on installation and troubleshooting the power-inverter. Click on this link to find out more about. Inverters 2 and all you need to know. 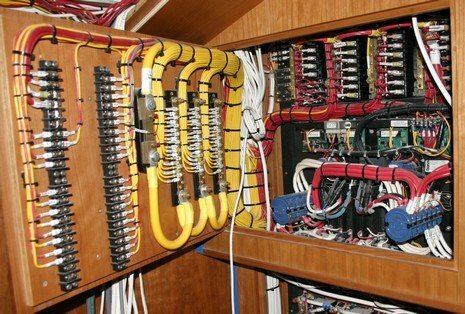 ARE YOUR BOAT WIRING SYSTEMS RELIABLE? 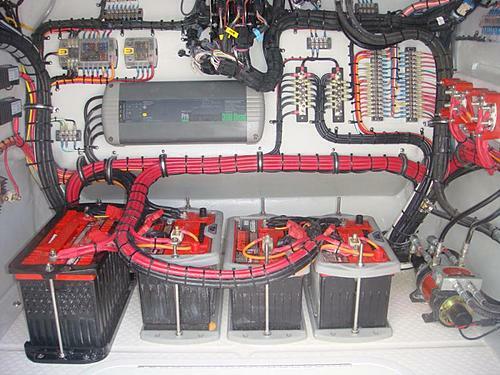 Reliable marine electrical and marine electronics installations require a systems approach. This consists of good planning, quality equipment, machinery compatibility and simple systems design. This is the basic boating law for all equipment. My books are written to meet the practical requirements of the cruising and racing yacht, motorboat and fishing boat. Complex theory is covered only to a level sufficient to properly select, install, operate, maintain and troubleshoot with a minimum of technical expertise or knowledge. Click on this link to find out more about. Yacht Wiring Rules and Regulations and all you need to know. Choosing the right boat light and installing it correctly is a constant cause of problems for boat owners. Many choose the wrong light types, and don't full consider how they should be installed to minimise interference with electronics systems or create large electrical power consumption. 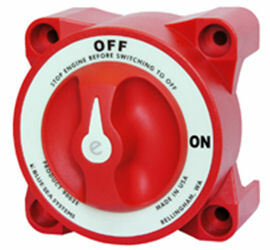 Useful electrical and electronics boat repair equipment advice. Click on this link to find out more about. Boat Lighting and all you need to know.